così epico! sono tornata bambina! emozionata da morire! Aiolia è spettacolare! adoro inoltre la nuova versione delle cloth e la nuova caratterizzazione dei personaggi. Non sono rimasta delusa da questo primo episodio. Sono davvero molto felice! Grazie crunchyroll per averci dato questa possibilità e per aver fornito i sottotitoli in italiano! GRAZIE. I liked omega watched the whole thing but this was straight original anime dbz good. man this was straight awesome with the yelling and story and cloth design power makes you look fancy and gives you high heels lulz blah blah blah blah blah it is amazing. even though the ratings aren't high I hope they start to grow higher because this show is wonderful this is my first time watching and im already grown in i cant wait to see how far the story goes and what will be uncovered either way i love the show and glad i found plus the animation it GRET!!! Graphics, voices, action, everithing is so awesome! Definetely good! I`ve watched the old anime, and i loved it, and when i heard that Soul of Gold will appear, i was sceptic. I was wrong! It`s so damned good! The first two episods did rock, and i`m so in to the 3th episode! Congrads! It`s already a hit! Simply amazing. These serie is giving more time and history to the gold saint who are the most powerful among the saints. I love Saint Seiya since I was 7 and this will continue forever :D. This story also is related to the Non-canon arc of Odin that was an amazing arc. I hope they can give all the time to the 12 gold saints in 12 episodes, that is very short in my opinion comparing to the 96 episodes on Omega. Hope they can give more episodes and this could help in doing animation of next dimension. So far so good. I find it interesting they are using the setting from the filler arc of the original TV series, but all in all, it feels much better paced than the original series was. Characterization has been a bit slow, but seeing how several of the Gold Saints we only got to really know as villains, it's understandable. 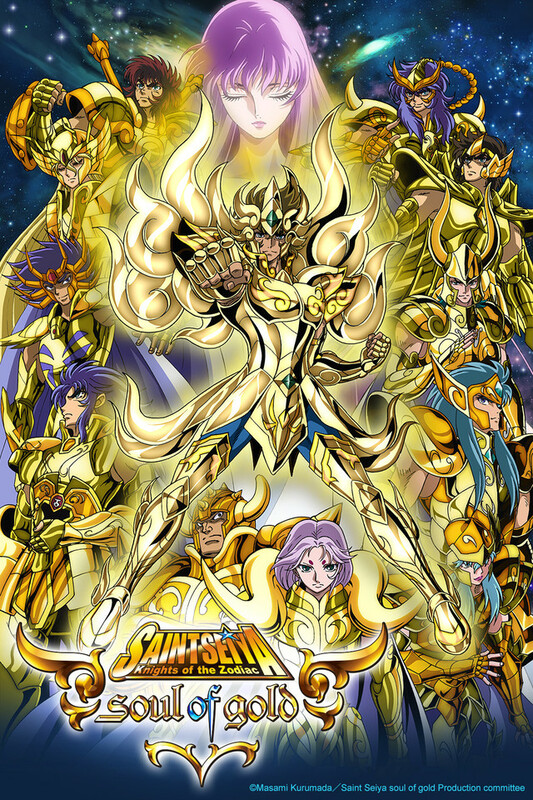 I was yearning for many years for the Saint Seiya franchise to come up with another show featuring the Gold Saints from the original Saint Seiya since Lost Canvas stopped in the middle before they discontinued. MY WISH HAD COME TRUE! :'D Watched all the episodes and I promise it won't disappoint! I will say that you would have to watched the original to Asgard and Hades Arc to get what's on in this series.